We specialize in creating virtual reality software that simulates flight. Our games are compatible with hang gliding simulators! We keep track of scores world wide and give away monthly prizes! 5D Realities is a virtual reality game studio focused on creating software that gives you a sense of thrill and excitement! 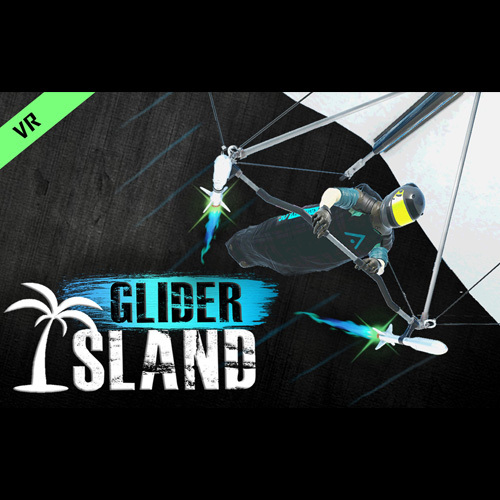 Glider Island is our first virtual reality game on the market and is a hang gliding racing game. You can expereince it via VR Standard Edition or VR Ride Edition which is specifically built for location based entertainment venues. We also have some new exciting experiences to be announced soon that are currently in development! Sign up for email updates below to get the latest 5D Realities news in your inbox. A new type of locomotion system that lets you fly! Introducing hang gliding simulators. Simple in nature, easy to assemble, this is the future of VR flight! 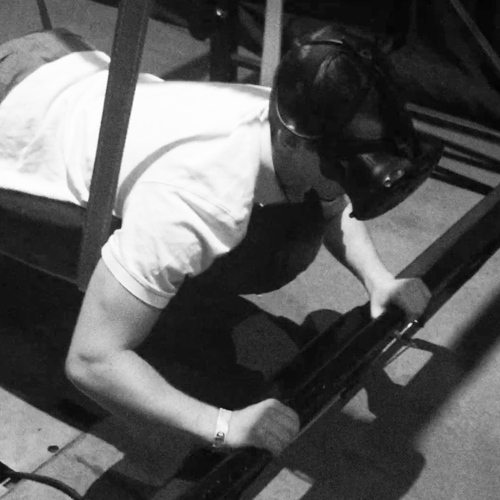 Are you interested in having a simulator at your location? Be sure to check out our Hang Gliding Simulators built by others that are fully compatible with our software. Check out our virtual reality games! Glider Island VR is our fist game on the market. It is a fast passed virtual reality hang gliding racing game! Online Leaderboards! Track your score. We realise that competition is what drives people to want to play. 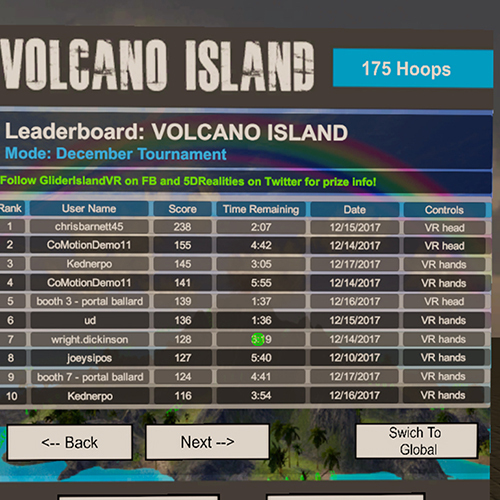 Track your high score with online leaderboards!